FIFO - or Fly In Fly Out, as has been dubbed the practice of those who come into this community to work but not reside here - has been in the news a fair bit recently. It seems to have been spurred by news out of Australia that a young FIFO employee there took his own life, sadly probably not an unusual narrative although hard statistics regarding suicide rates among FIFO employees are hard to come by. FIFO has a long been an issue in the industry in our region, a multi-faceted and complex issue that requires a multi-pronged approach for both consideration and management. Before I even begin I think I can state fairly clearly that FIFO is likely not the optimal situation for anyone. Lengthy periods of time away from home and family in an artificial "home" setting like a camp undoubtedly is detrimental to the mental health of some individuals, as well as to their familial situations. There is a cost to the community as well, as those who are FIFO employees often rely to some degree on our infrastructure, adding extra weight to services already teetering on the brink of being unable to meet the current needs of residents (spending time in the local ER or walk-in clinic quickly provides evidence of this). FIFO is the chosen path for some, and in some cases it works well for their lifestyle. There will always be those who choose not to relocate to this community for whatever reason, and for them FIFO may well be the choice that works for them. I have met several who are quite happy doing FIFO, and I have met many who in fact resided here and then decided to move away and pursue FIFO, often due to the cost of housing in this region (so still a choice, but less of one as it was a choice made due to financial pressures). There are those for whom FIFO is not a choice as they have familial commitments in other places that require them to live there and work here. And then there are the troubling stories I am hearing about companies requiring employees to FIFO, not even giving them the option of relocating to this community - and I am most concerned about those as when choice is entirely removed unhappiness and dissatisfaction is the almost certain end result. I think we should be very honest here, too. We have an uncomfortable relationship with FIFO workers - or, as we often call them, the "camp guys" - in this community. We tend towards an "us vs. them" mentality, the residents versus the transient worker. We have a troubling tendency to blame many of our issues on transient workers, from drug use in the community to crime. We have this tendency to see them as almost parasitic in nature, preying on this community because they are just here to "make their cash and get out", a phrase I have heard again and again and again. 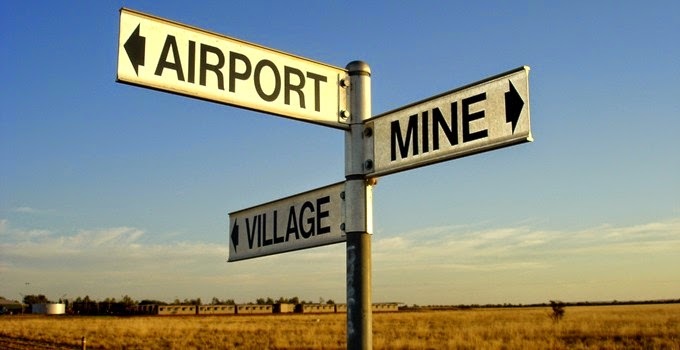 We have a tendency to think a great deal about the cost to the community as opposed to the cost to the FIFO employee as an individual, ignoring the very multi-faceted nature of this issue. We call them the "shadow population" ignoring that they are in fact a significant factor in the growth and development of this community and region, whether we like it or not, and will likely continue to be for the entire life cycle of our natural resource. What are we doing to make life in this community more attractive to potential new residents? Are we ensuring families can afford to make the transition to living here (and having done it twelve years ago I know it can be a financially daunting prospect)? Are we asking our industry players to focus on encouraging future and current employees to consider this region as their home and as such providing enticements for them to do so, including financial ones? Are we asking our industry players to provide support for those individuals who do choose to work FIFO and who may require assistance on occasion due to the nature of that lifestyle? Are we unfairly blaming FIFO workers for our own social issues and by doing so perhaps adding to their woes by placing undue stigma on their choice? Are we finding ways to make FIFO work for us, including perhaps having industry pay for the extra strain on local services which in turn may benefit the FIFO workers and the residents? Are we recognizing that FIFO has costs to both community and individual that we must address but that may require different solutions? Have we truly realized that FIFO is not a short-term issue but likely a very long-term issue which will continue to impact both the community and individuals for decades? Resource based communities have always and likely will always experience some degree of transient workers, as has been evidenced by this sort of industry for hundreds of years and examples from across the globe. In some situations in other countries FIFO is not even optional as the resource site is located far from a community base and thus it is necessary to continue to pursue development of the resource. But here, in Wood Buffalo, FIFO is an option as there is a vibrant community right on the doorstep of the oil sands industry. If we are providing the option, though, we must provide the support and understand the consequences, particularly as FIFO is likely to increase as oil sands production ramps up. Reports I have read indicate that one site alone has tendered an additional 15,000 beds for the next decade, and that the camp population which now hovers somewhere around 40,000 people could explode in that same period of time, perhaps even rivalling the population of residents. The "shadow population" could well be a shadow no more, and very soon. It is not a simple problem, and it will not have a simple solution. It is as complex as the community, the industry and the people who are involved in it. Given that it is highly unlikely we will ever see FIFO end as the industry requires more and more employees to develop the resource we need to start getting a far, far better handle on what it means to this community, both in the historical context, now and into the future. We have until now had an uneasy truce with FIFO, one often fraught with complaints about how it damages the fabric of our community and less thought given to how it can damage those who are part of it, but the time has come to develop a working relationship with a "shadow" population that has for all intents and purposes been part of our community for some time. It's time to stop pointing fingers and start working with industry and government to ensure that FIFO works for the employees, the industry, the residents and the community in the best, healthiest and most sustainable ways possible. To do otherwise will come at our own peril, I fear. In many ways our community is exactly like every other community on the planet - but the issue of FIFO is one of the things that is perhaps most unique about us, that makes us stand apart in facing an issue that few other communities deal with in the same magnitude as we do. We can look at it as a challenge - and an opportunity, to become world leaders in how to develop a community and a transient working population that provides the best of all possible worlds for everyone involved. How do we do it? I don't know, but I do know one thing: we better figure it out, because if the growth projections are accurate FIFO, and the accompanying issues, aren't going away any time soon, and the future of our community may well depend on how we meet the challenge.